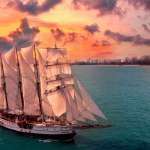 You may have heard the recent news about French fine dining restaurant Odette clinching the No. 1 spot on the Asia’s 50 Best Restaurants 2019 list. Besides making a reservation at the Singapore-based restaurant, here’s another way to enjoy food by the same chef: en route to Paris. Air France has launched a year-long partnership with Julien Royer, Michelin-starred chef and co-owner of Odette. 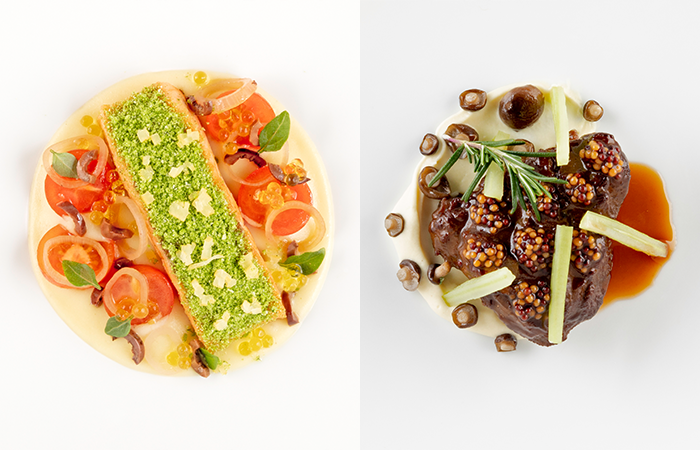 Chef Julien has designed 12 exclusive main dishes for Air France passengers travelling between Singapore and Paris-Charles de Gaulle – six dishes for La Première (First Class) and six for Business Class. These dishes will be rotated every two months. 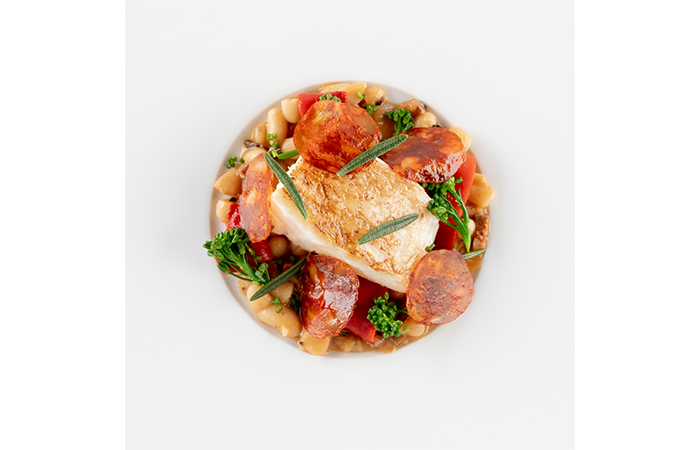 In April 2019 and October 2019, the Cod Confit with Rosemary and Paimpol coconut, raw chorizo and “Piquillo” will be served to La Première passengers. 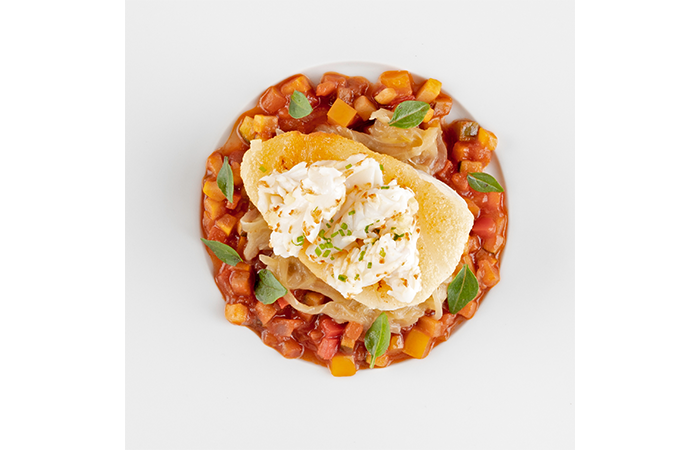 This is a roasted cod that features a spicy combination of land and sea. 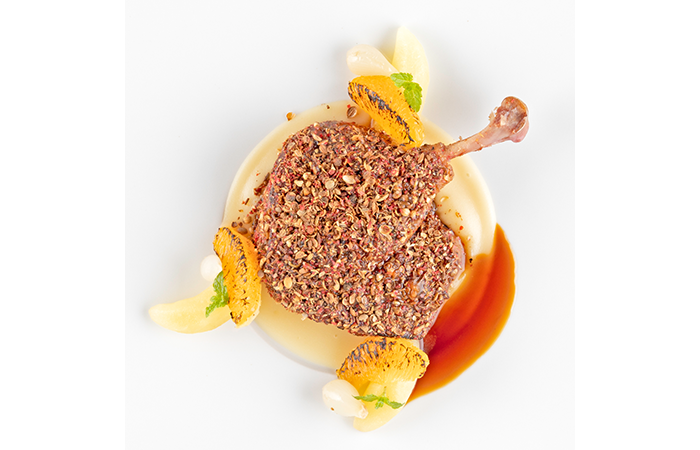 Available in June 2019 and January 2020, the “Apicius” duck leg will be served to La Première passengers. The signature French duck leg offers a refreshing twist as it’s topped with confit lemons and apples, giving a burst of flavour that’s sweet, savoury and acidic. 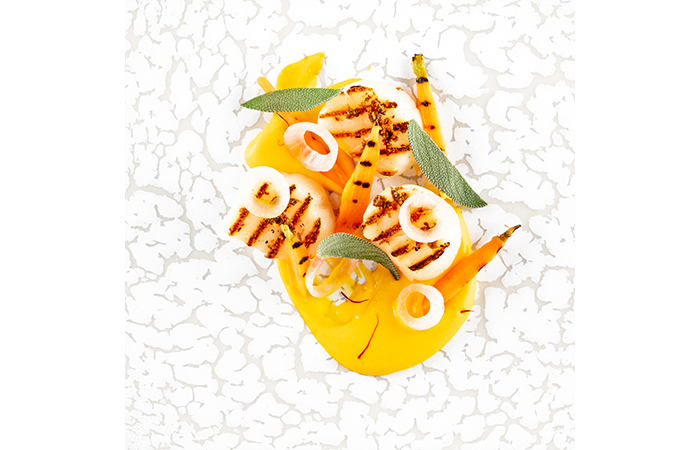 If you’re travelling in Business Class, savour the delicate combination of grilled scallops, carrot mousseline and saffron nage. You might wonder how these three can go together in a dish, taste it for yourself when you travel in April or October 2019! Or get a taste of the traditional French dish, ratatouille, served with comforting pan-fried sea bass and squid, topped with confit lemons when you travel in Business Class during August 2019 or February 2020. 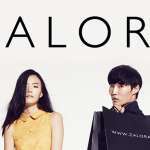 Chef Julien Royer’s new signature dishes will be served exclusively in Air France’s La Première (First Class) and Business cabins departing Singapore to Paris, from now till March 2020.